It’s the final day of our symposium series and it’s been another great one, in the historic city of Kyoto. Many thanks to our host Professor Keiji Maruoka. The speakers again presented some really exciting and innovative research. Alongside the international speakers Professor Naoto Chatani from Osaka University presented his work on Ni-catalysed functionalization of C-H bonds; OBC Editorial Board member Professor Kenichiro Itami (Nagoya University) talked about how C-H functionalization can be applied to biological and materials problems; and Professor Michinori Suginome presented on chirality-switchable helical macromolecules. Once again we saw some great work from some early career researchers: Professors Norie Momiyama (Institute of Molecular Research), Takuya Hashimoto (Kyoto University), Yusuke Kita and Koji Hirano (both from Osaka University). It’s been a fantastic week of organic chemistry. Many thanks to all the hosts and speakers for making it a great set of symposia! On to day two of the symposium series, this time at University of Tokyo’s fantastic new auditorium. 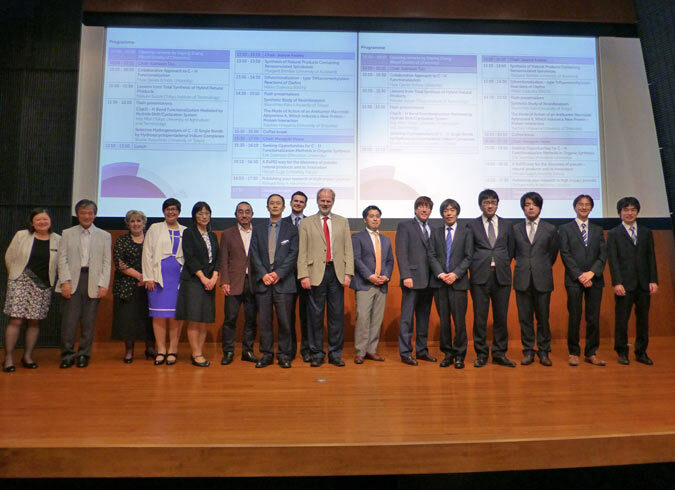 The international speakers were joined by a great line-up of researchers from the Tokyo area. First up was Professor Keisuke Suzuki from University of Tokyo, giving a great tour of his research on synthesis of hybrid natural products. 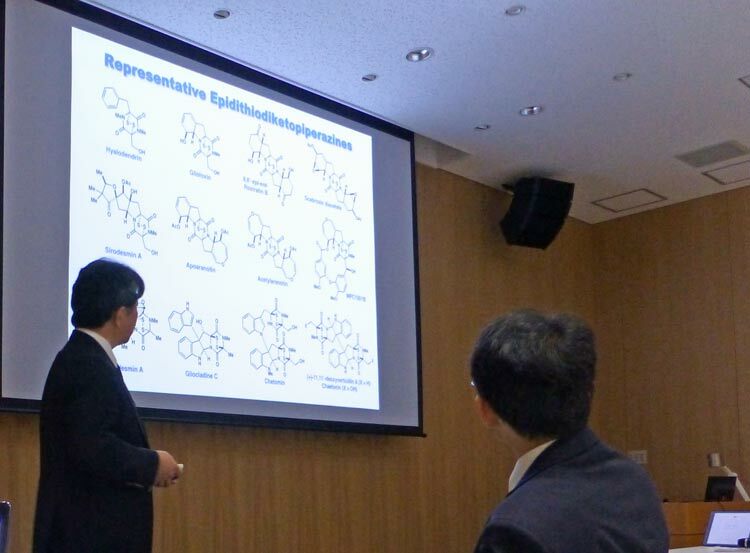 MedChemComm Advisory Board member Professor Mikiko Sodeoka from RIKEN presented some really nice work on trifluoromethylation of olefins and then the day was rounded off with a fantastic talk from Professor Hiroaki Suga (University of Tokyo) on his innovative peptide research. 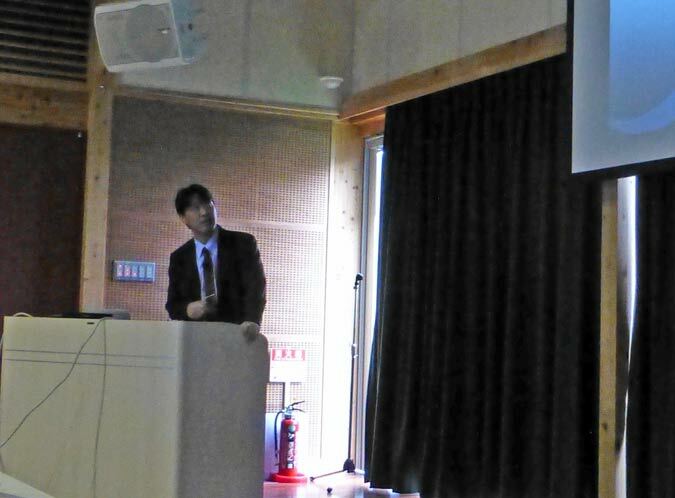 As in Sendai we heard some really nice talks from a number of early career researchers: Professor Keiji Mori (Tokyo University of Agriculture and Technology), Professor Yuichiro Hirayama (University of Shizuoka), Professor Shuhei Kusumoto and My Shunichiro Kato (both from University of Tokyo). Many thanks to Professor Masayuki Inoue for hosting a great day! 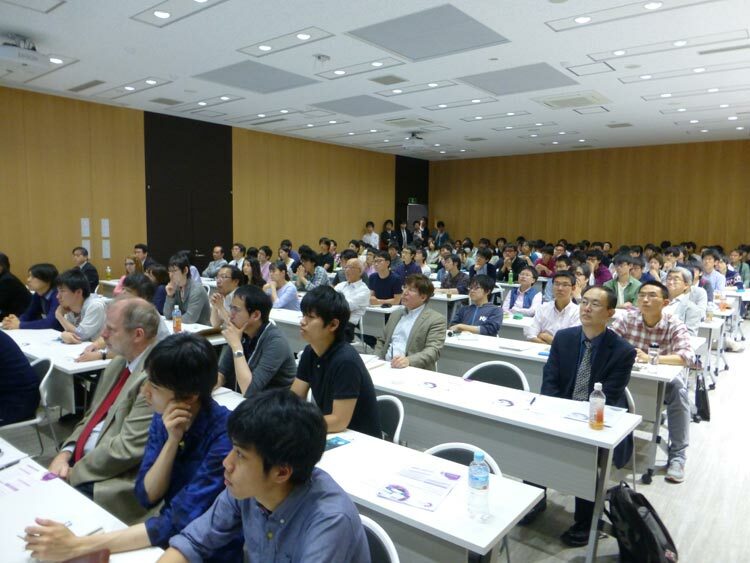 We’ve just completed a great first day of the Japan Organic Chemistry Symposia. 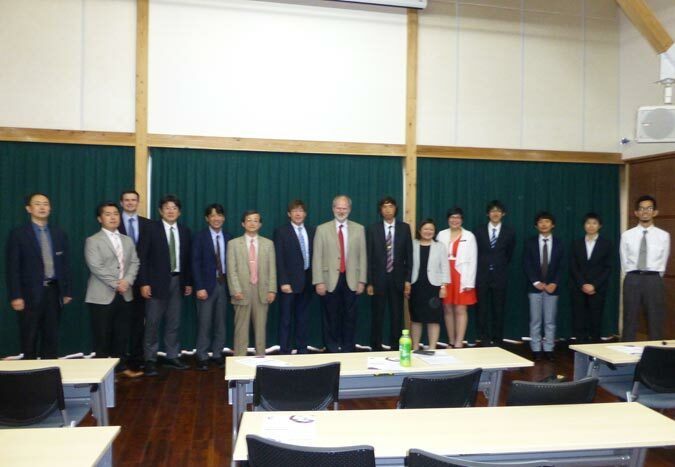 Hosted by Professor Masahiro Terada at Tohoku University, the symposium featured speakers from the host university, Nihon University and Hokkaido University, along with international members of our journals’ Editorial Boards. First up was Professor Hidetoshi Tokuyama from Tohoku University, presenting on his syntheses of dihydrooxepine-containing epidithiodiketopiperazine natural products, then Erik Sorensen from Princeton University and the Editorial Board of Organic Chemistry Frontiers talked about some of his latest research in C-H functionalization. After lunch the packed audience saw talks from Professor Hiroyuki Isobe from Tohoku University on his latest research on cycloarylenes, and then Huw Davies from Emory University and the ChemSocRev Editorial Board talked about the NSF CCI Center for Selective C-H Functionalization, a really innovative collaboration between researchers in the US. Mid-afternoon saw some great Invited lectures by early career faculty: Professors Nozomi Saito and Shintaro Ishida from Tohoku University, Tsuyoshi Mita from Hokkaido University and Atsushi Kobayashi from Nihon University. The day was rounded off with plenary lectures from Professor Masaya Sawamura from Hokkaido University on hydrogen bonding with nonpolar sp3 C-H bonds in enantioselective cooperative metal catalysis, and Professor Margaret Brimble from University of Auckland and the Organic & Biomolecular Chemistry Editorial Board on some of her latest syntheses of benzannulated spiroketal natural products. 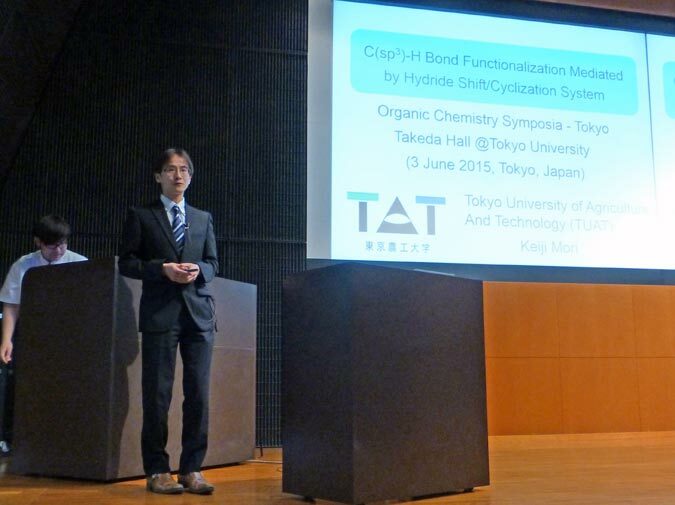 We’d like to thank Professor Terada and his colleagues for making it such a great symposium! 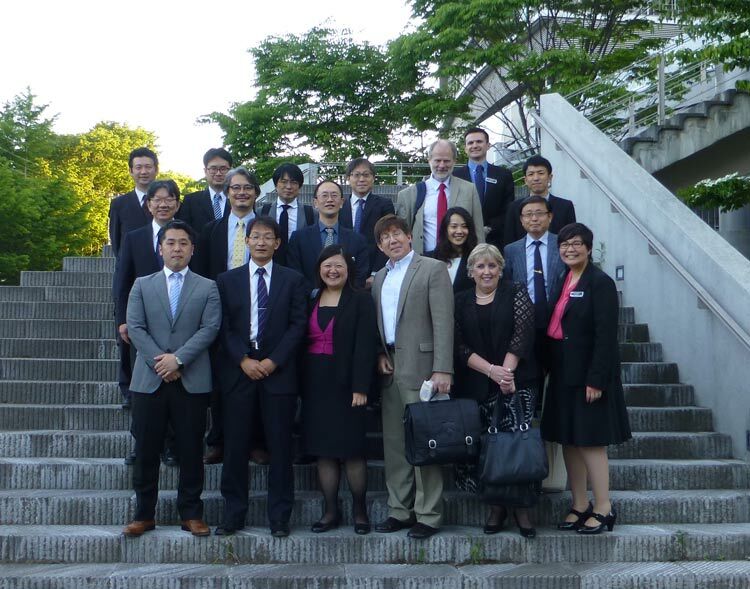 This week the Royal Society of Chemistry is visiting three institutes in Japan for our 2015 Organic Chemistry Symposia. 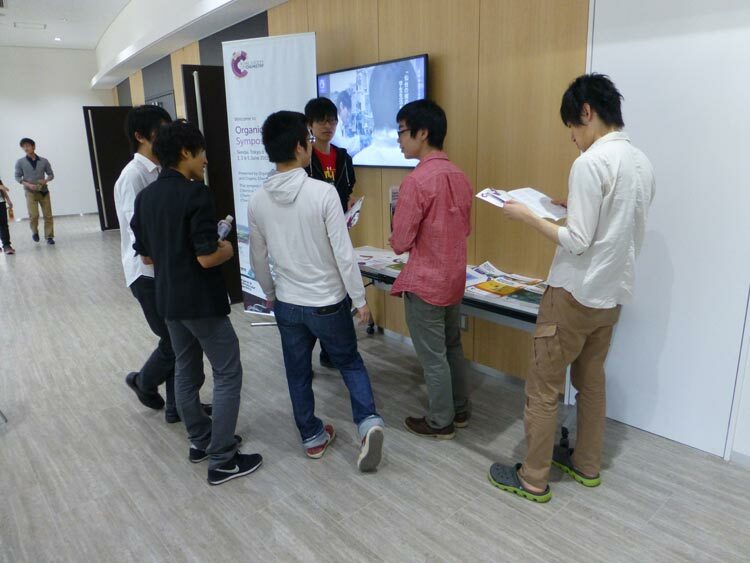 We’ll be at Tohoku University on Monday 1st June, University of Tokyo on Wednesday 3rd and Kyoto University on Friday 5th. Each symposium will feature speakers from Japanese universities along with three international speakers who will travel to each institute. 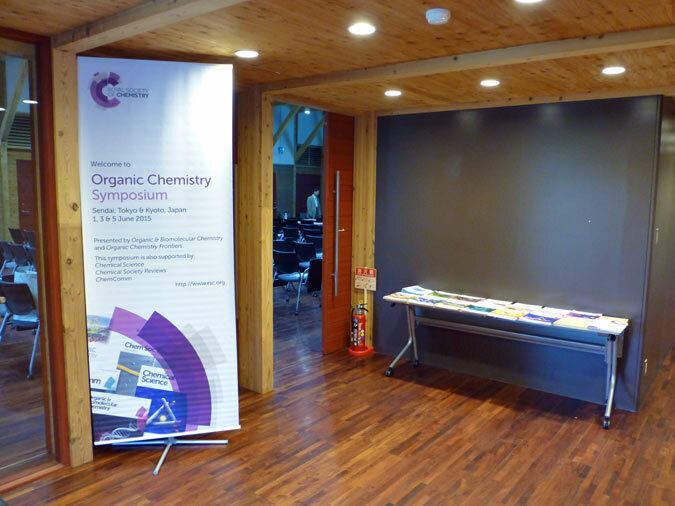 The symposia are presented by our journals Organic & Biomolecular Chemistry and Organic Chemistry Frontiers, and supported by ChemComm, Chemical Society Reviews and Chemical Science. We’re very grateful to our hosts -Professor Masahiro Terada in Sendai, Professor Masayuki Inoue in Tokyo and Professor Keiji Maruoka in Kyoto – for their support for these events. We hope to see you at one of the symposia! 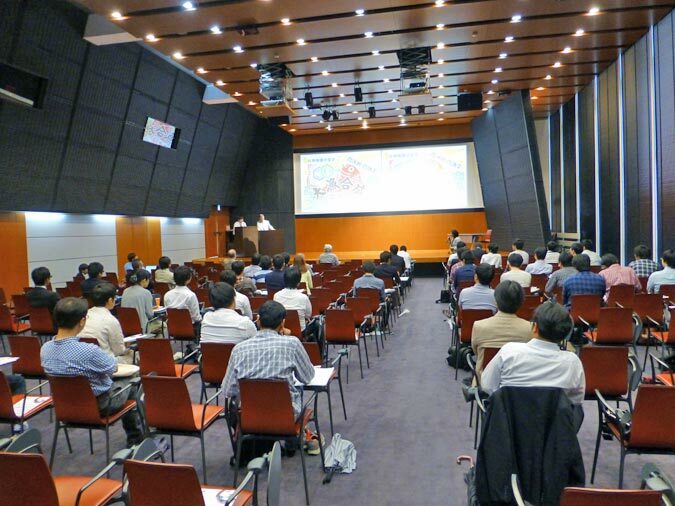 You are currently browsing the archives for the Japan Organic Symposia 2015 category.